Yes, it's possible. I did it and so can you. 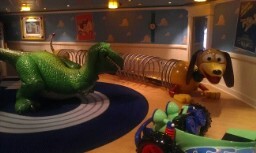 In March I went with a contingent of about 30 TravelingMoms on the inaugural cruise of the new ship the Disney Fantasy. We met in Orlando at the Disney Animal Kingdom Lodge. For one night we were transported to an African safari. The lodge was filled with beautiful African art work and just outside our windows giraffe and zebras roamed the grounds. 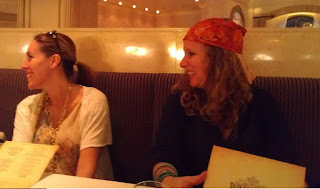 The TravelingMoms are a group of travel writers with our own unique perspective on family travel and we all basically know each other because our paths often cross online but this was one of those rare moments when we were at the same place at the same time. It was an ultimate girlfriends weekend. 30+ moms without kids for the entire weekend. That was enough of a formula for a fun-filled weekend but then you throw Disney into the equation and it was elevated to a spectacular extravaganza. We met in the lobby the next morning and we were soon escorted to buses which took us all to the port just past Cape Canaveral. Even the bus ride was fun. Disney is well known for its wonderful theme parks and classic movies but I was finding that they are also really good at making the entire vacation experience fun and effortless including getting from point A to point B. Even with hundreds of people arriving at the port at the same time, the check in process was quick and easy. Shortly, we were all on the ship, checked into our rooms and preparing for the launch party. Ok, so up to this point you may be thinking that is all fine and good but that is only one cruise. How do you go on 30 different cruises in one weekend? Here's the key. Just make sure you go with 30 other amazing people. Our entire group had a great time together on the cruise and we shared many common activities. The amazing thing for me to see was how each one of us had an entirely unique experience while on the same cruise. One mom found the all the activities available for families traveling with special needs children. Another mom spent as much time as possible in the spa. Our fitness mom spent time in the activities center and running in a 5k race, while another mom spent her time checking out all of the shows that were going on during the cruise. Our vegetarian mom was pleased to find delicious vegetarian offerings at every restaurant on board. And for our veteran Disney mom, who had been on a number of Disney cruises before, she reconnected with old friends who were also on the ship. 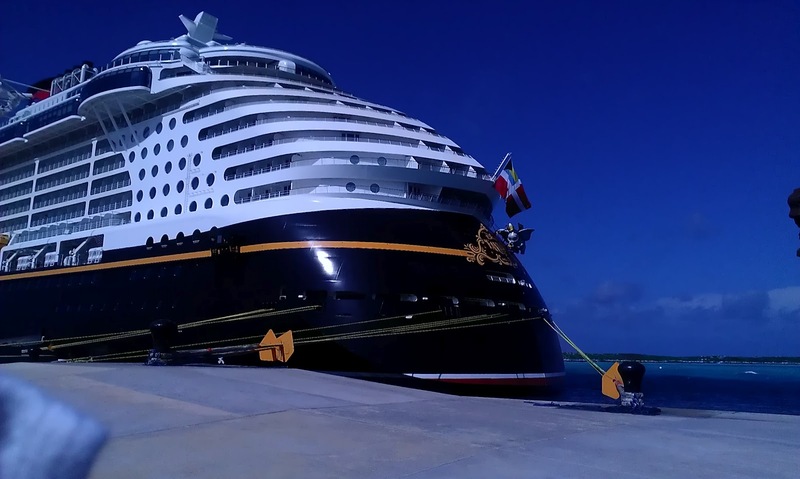 Even though we weren't traveling with our kids it was easy to see how a Disney Cruise would be great for a family as there were designated areas for each age. While the kids are busy having fun in their areas there were plenty of areas just for the grown ups too that included several different themed nightclubs. We were all on the same ship but over the span of one weekend the 30 + TravelingMoms were all having their own unique experiences. We shared laughs and took many of the same pictures but we all came home with our very own stories.